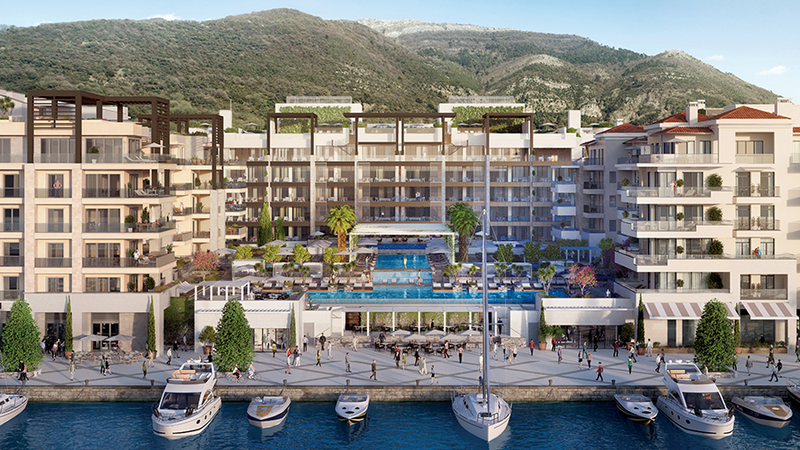 Elena Residences opens its doors to residents in summer 2019 and will form the missing piece along a new boulevard of shopping and dining amenities in Porto Montenegro, the Mediterranean’s leading luxury yacht homeport and marina village. 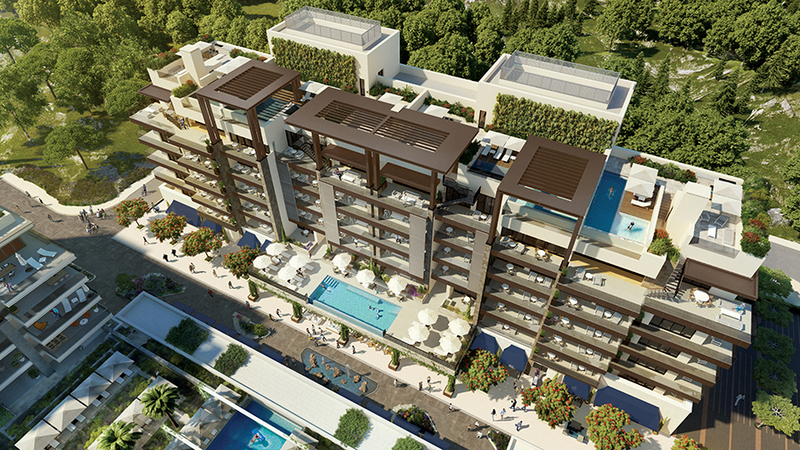 The residences form an idyllic accompaniment to the existing promenade, which extends the walkway to link from Venice Square through to the Synchro building at the north side of the village. The residences are dedicated to Elena di Savoia, or Princess Elena of Montenegro, born in the Old Royal Capital of Cetinje. She went on to marry the future Italian King Victor Emmanuel and became Queen Elena of Italy. This flattering new addition is neighbor to the nearby Regent Pool Club Residences and offers intimate waterfront living with bespoke furnishing solutions. 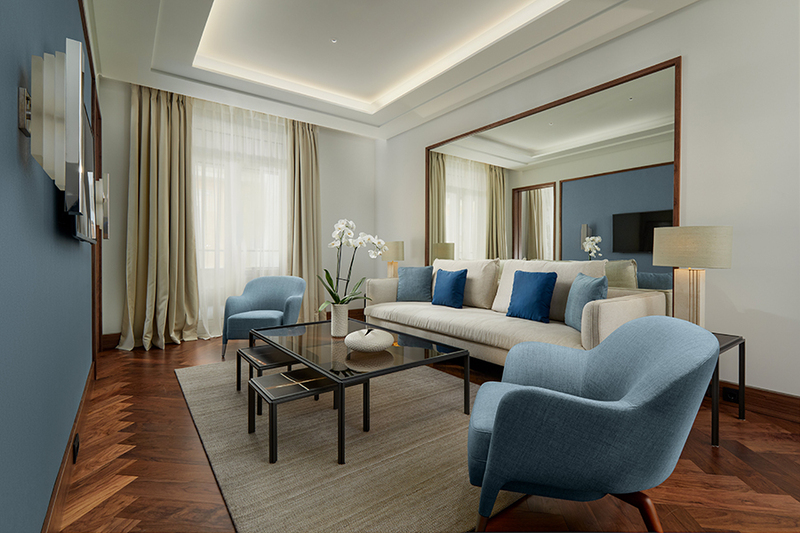 Elena’s elegant and refined interiors bring style and character to the contemporary core of each residence, and the design draws inspiration from the Italian Riviera, indicative of prosperity and refined luxury. Residents can enjoy cosmopolitan living, intimate luxury and a traditional neighborhood ambiance with sights of the mountains and nearby waterfront. Featuring a total of 50 luxury freehold residences, buyers can choose from a selection of studio, 1-, 2-, and 3-bedroom units and luxury penthouses, carefully crafted to encompass elegant finishes and premium, regal furnishings. 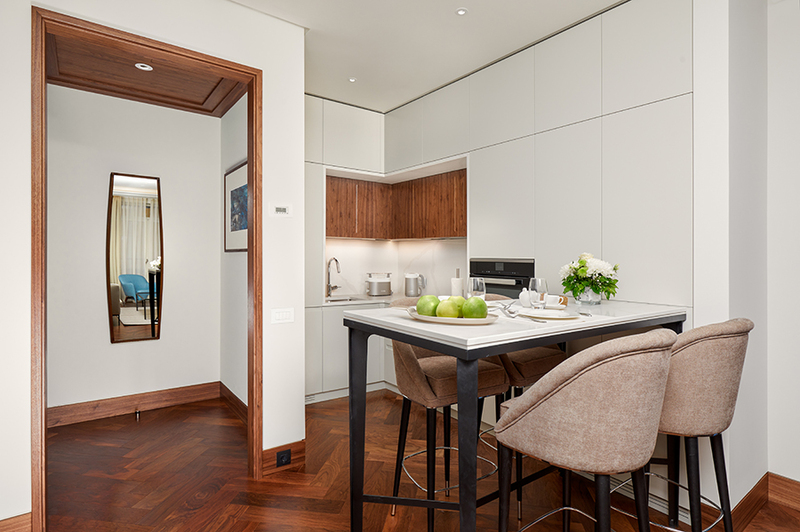 The Italian-inspired décor and nautical influences of the interior complement the waterfront location whilst high ceilings and retractable doors serve to maximise natural light. The stunning penthouses with private pools and spacious rooftop areas for guest hosting, relaxation and entertainment offer an ideal investment opportunity or second home for discerning buyers. 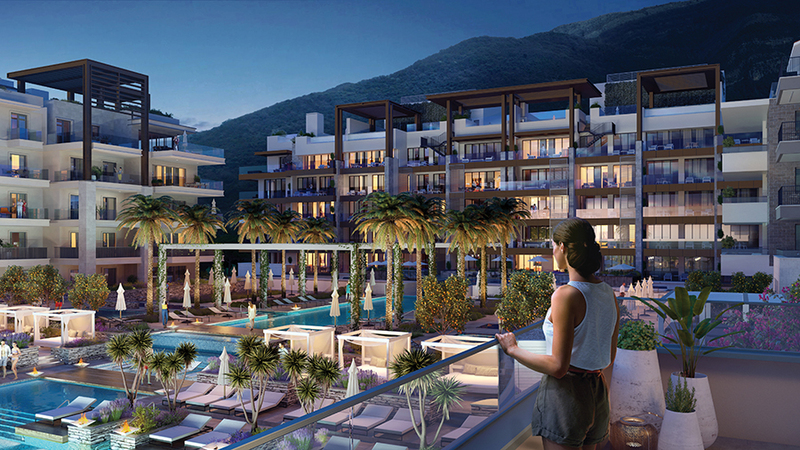 Residents can enjoy an onsite pool elevated over the promenade for privacy, an on-site gym and exclusive access to the Porto Montenegro Owner’s Club. They are entitled to a host of privileges across the village, from cocktail soirées to sporting tournaments and other exciting village events, as well as a dedicated lifestyle team to cater to ad-hoc requests and help craft a true Porto Montenegro lifestyle experience. 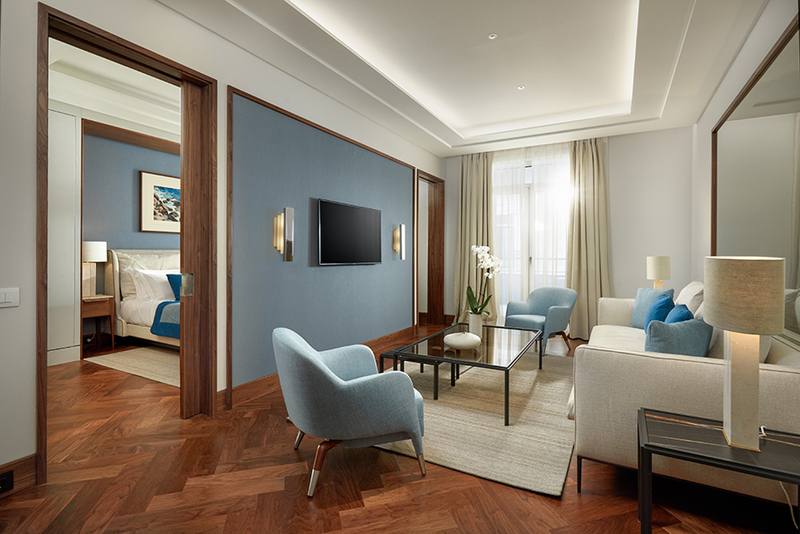 Owners of properties at Elena Residences will also be eligible to opt-in to the M Residences Bespoke Rental Management & Servicing Solutions as a means of both driving revenue and ensuring a luxury experience for rental guests. The scheme covers furniture packages as well as operational equipment. Porto Montenegro lies within one of the world’s most idyllic nautical playgrounds. A UNESCO World Heritage Site, the Boka Bay is a sunken canyon and the largest natural harbour in the eastern Mediterranean. The Bay’s 100 km of coastline twist inland from the open waters of the Adriatic on the southern edge of the Dalmatian coast. Rugged mountains rise from the shoreline shielding the beaches and medieval towns that cling to the water’s edge. With Venice and the Croatian archipelago to the north, Corfu and the Ionian Islands to the south and the eastern coast of Italy to the west, the Bay also offers easy and direct access to some of the best cruising in the Mediterranean basin. Moreover, Montenegro’s elite tourism strategy provides yacht-friendly legislation, offering some of the most favorable benefits in Europe area, whilst its outside EU position presents a powerful financial case for basing a yacht here all year round. There is just 9% company and capital gains tax, one of the lowest rates in Europe, and only 7% VAT on marine-related services, along with tax and duty-free fuel, up to 45% cheaper than other European countries. The country has flexible cruising regulations with no restriction to pick-up and drop-off or time restrictions on foreign yachts in Montenegrin waters and more.